Hello, my friends! First of all, I want to THANK YOU THANK YOU THANK YOU for all of the amazing comments and messages from my post yesterday. I will actually write a bit of a follow-up about it on Friday, but thanks to everyone reading the post and sharing it on Facebook and among your friends and family, it was viewed by over 20,000 people. That is nothing short of incredible (OH, the power of social media! ), and I am so thankful that so many people read my experience and will hopefully learn something from it. Please be aware of your surroundings at all times, even the most familiar of places, and trust your gut instincts. And if you feel threatened, CALL THE POLICE! Now, back to the regularly scheduled light blog posts, ha! 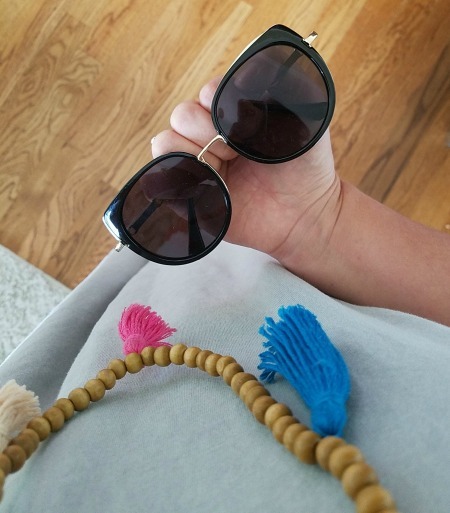 It’s What I Wore Wednesday, and I am sharing a few of my very favorite summer dresses, and a few others that I am just in love with. So, onto the dresses! Blue and White Stripes? Check. Loaded of beautiful embroidery? Check. Elbow-length sleeves? Check! 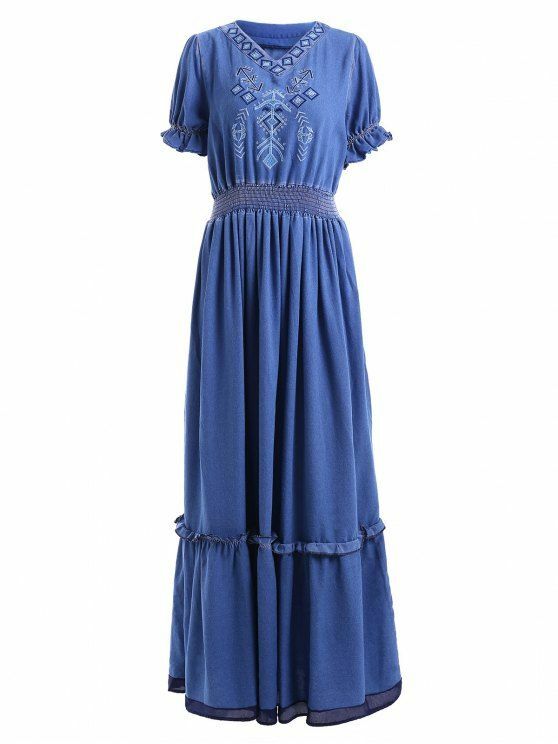 This dress is as perfect for a picnic with flip flops as it is for an outdoor concert with friends, or a baby shower after church. Two of my favorite trends this season are stripes and embroidery (though they aren’t really trends to me– they are always in style! ), and they are both displayed so perfectly in this dress! I wore it the other day with wedges to be a little dressier, but it’s short enough for me to wear with flats without making my legs look short. I’ll certainly be wearing it over and over this summer. So maybe I have a thing for blue and embroidery?? But when I was shopping with my mom in Hilton Head, we both saw this dress and thought it was gorgeous! The colorful embroidery screams summer to me, and I am still on board with the off the shoulder trend. I wore this dress to the girls’ birthday party on Saturday and got several compliments on it. Red Tassel Earrings- Made by Me! As always, I’ll be linking up with Lindsey at the Pleated Poppy. Hop over and check out all the awesome outfit and style inspiration! This pretty floral one would be perfect for a romantic date night. 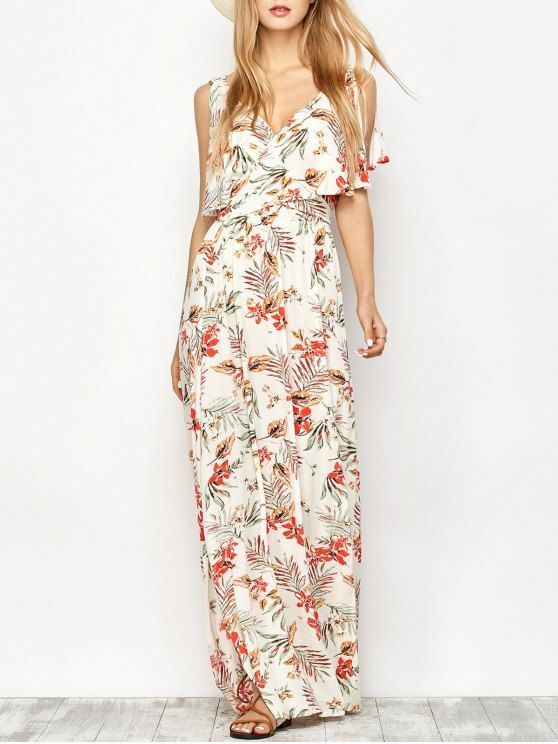 For $22, I’m pretty sure I would bum around in this comfy maxi all summer long! And I’ll have even more summer style obsessions on the blog tomorrow!